The book that is revolutionizing Family Finances around the world. 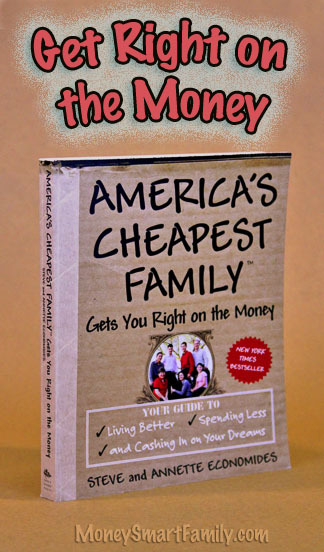 America’s Cheapest Family Gets You Right on the Money is a book that is like a comprehensive manual on frugal living and smart money habits. More than 100,000 families worldwide have embraced the message and habits outlined in the book. As you read, you’ll feel like you’re getting your own private financial coaching session. We’ve included lots of stories — ours and those of people we’ve helped. And we’ve even let our kids tell you what they think about their crazy parents’ money habits. You’ll be taken you through every area of a household budget from clothes to cars and lots more in between. 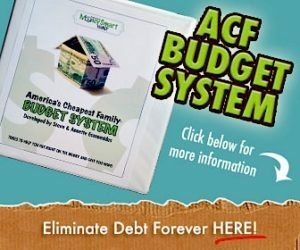 We’ll show you how to save money and time on feeding your family, planning fun and inexpensive recreation and even taking great vacations, all without debt. It’s not about formulas and calculations, it’s more about figuring out what’s really important to you and your family and making it happen. We aren’t just preaching a gospel of thrift, we’re giving you a behind the scenes look at how we’ve lived, raised five happy kids, paid off our first house in nine years, never had a car payment and had lots and lots of laughter. 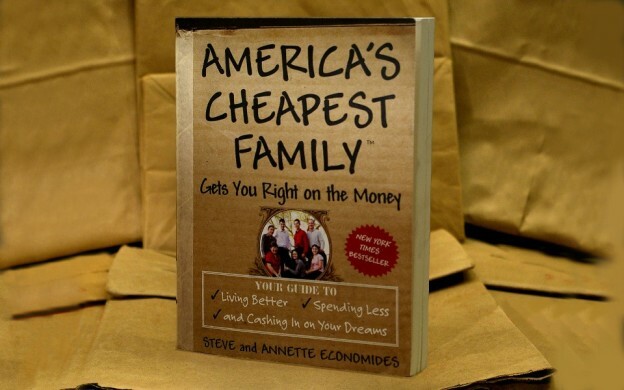 We’ve been told by readers that America’s Cheapest Family Gets You Right on the Money is one of the easiest finance books to read, understand and apply. Readers love it so much it became an instant NY Times Best Seller and hit several other best-seller lists too!
. And of course, you can get an autographed copy from us. BUY the eBook or Audio version from Amazon or iTunes! 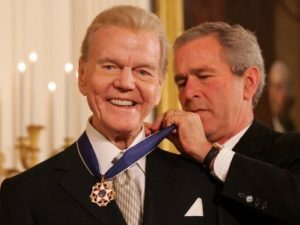 President George W. Bush presents the Presidential Medal of Freedom to legendary radio personality Paul Harvey, one of 14 recipients of the prestigious medal. 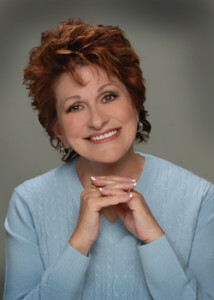 Glinda Bridgforth — financial coach, Oprah Debt Diet Consultant and bestselling author of Girl, Get Your Money Straight! ; Girl, Make Your Money Grow! and Girl, Get Your Credit Straight! “Steve and Annette Economides’ last name just happens to match what they do joyously and well: Economize. The word “cheap” attracts attention, but it’s misleading. With five children, this family eats well, dresses well and has wonderful times together, all for amazingly little money. 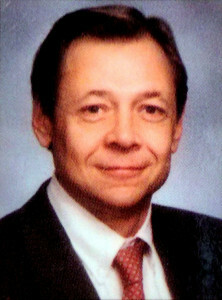 Archie M. Richards, Jr. — syndicated columnist and the author of Understanding Exchange-Traded Funds. 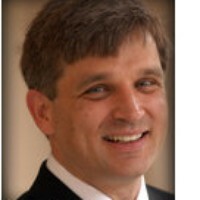 “Having known this couple since 1988, I can tell you everything they say works and is true. Steve and Annette have a heart for helping others. I’ve seen them at their best and at their lowest when true character is revealed. Anyone wanting a handle on their finances can learn and profit from their principles. Wilson J. 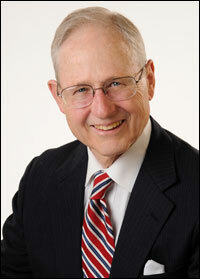 (Jody) Humber, Ph.D., CFP — investment counselor and author of Dollars and Sense and The Financially Challenged. I just had to write and tell you how much I benefited from your first book. 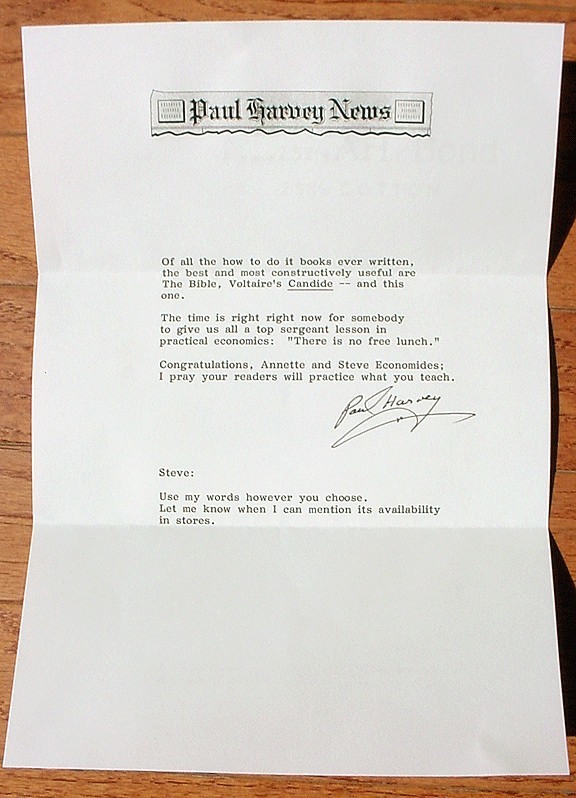 The way you write is so down to earth that anyone can understand it — it’s just great! I feel like a friend is talking to me. You have given us a lot of help and encouragement. I must admit, I always thought I should do or be like everyone else to be accepted and to be thought of as “normal.” Keeping up with the Joneses cost us everything. We had so many payments and bills that we went under faster than the Titanic. As a result, we ended up homeless and broke. We even lost our car. We were so ashamed. At that time we were 48 and 65 years old, and we lived in a gutted-out camper with our two small grandchildren. Nobody can imagine how low we felt. Then, I started reading the “money books,” at least that’s what I call them, to see if there wasn’t a better way to live. I went to the library and picked up Dave Ramsey’s book and then I saw yours. Something about it grabbed me. I’ve read it two more times in this last week and I have even more hope thanks to you. Our families had no idea how bad off we were. We let no one know about it. But since reading your book, we’ve saved our first $100 in the bank. That’s a major accomplishment for us, especially since we live on $643 each month. We managed to get enough money to buy a car and thankfully, we were able to get into a low-income apartment. I know we are going to go up from here. I don’t work right now because we have the grandbabies to take care of. My husband has rheumatoid arthritis and is now drawing Social Security. You have inspired my husband and me to live a more frugal lifestyle. I picked up your book a few weeks ago, and started a budget right away. It’s only been a couple of weeks since we started our budget, but I am amazed at how the money has grown in our bank account. I have always shopped at thrift and consignment stores for clothes. But now, I have started looking for appliances and furniture that are used. We just picked up a used, working freezer for $30! We are a young, married couple with a two-year-old daughter, and we only have two debts: a car which we only have $2,500 left to pay off, and our house. I am hoping that since we don’t have a lot of debt, and we are starting the budget, that we can have our house paid for in full by the time we are 33 — ten years from now. It is a challenge, and I am excited to know that while all of my friends may be driving brand new cars and SUV’s, and wearing the latest thing from Abercrombie and Hollister, that I can find nice, name brand clothes at my local Goodwill, or Gift and Thrift for two or three dollars! And I am proud to say that my two-year-old is the best-dressed child at the day-care where I work — and almost all her clothes were bought at garage sales, Goodwill, or were given to me! I have just finished reading your book – just a few minutes ago!!!! It is incredible. I have several books on personal finance, a degree in business, a Personal Financial Planner designation (from a university, but not a national designation) and I was a credit counselor for some years before settling in as a stay-at-home mom (husband, two sons, and a dog). My husband and I both practice a frugal lifestyle and often find ourselves out-of-touch (not to complain) with most of the people we come in contact with about frugality, parenting, our values, etc. We probably experience the social difference more here in New England (Connecticut) than you might in other parts of the country. Of all the books I have read on the subject, I can most identify with this one and it is the best explained that I have ever seen. Our values are most in line with yours and for that I thank you. Though far away, I feel like we know each other! Thank you for trying to help society with the huge problem of materialism to the detriment of faith, family and quality time. P.S. Your children are a credit to society and I sincerely hope, when the time comes, that their spouses truly appreciate their character and work ethic. Stephen and I are in our first year of marriage and we have faced the challenges so many young couples face when trying to get their finances in sync with a new lifestyle. With God’s grace, we are now using your budget sheets and the money is actually staying IN our account. We read your book TOGETHER on a trip from visiting family in Ohio to our new home in Virginia and we loved it! We laughed, we cried — it changed our lives. Thank You! Unemployment Did Not Devastate Us! I just wanted to thank you for your amazing book. I happened to see it on a web broadcast on Yahoo. So I bought it and have read it at least 4 times now. We implemented many things you said in our lives. Within two months of reading the book, we had paid off two of our major debts — our son’s medical bills and my student loan. We were also putting savings aside at the same time. We were planning to use your windfall principle to concurrently pay off our last debt while putting money aside for our emergency fund. My husband and I just finished reading your book and I wanted to let you know how much we appreciated it. We have always been debt free (praise God) and have been frugal minded about material things. Your book has really encouraged us to continue doing so. I have always thought that we were a bit odd when we would get so excited about a really great deal or would brag about getting something on sale or free. I was so glad to see that we weren’t alone! We are so excited to finally start living a frugal life. We have tried before, but were never able to stop our impulsive spending. But we’re motivated now. Just today we saved $275 per month by getting a better cell phone plan, switching internet providers and canceling a couple of club memberships. We are planning now and have started a budget like you described in your book. For Christmas we bought an inexpensive tree for $12 and saved enough money to buy a steeply discounted artificial tree during the after-Christmas clearance sales. Thanks for the encouragement. I have read your books MANY times. I have read lots of money books, Dave Ramsey, and others, but I have to say YOUR book is the best. It doesn’t “scare” me and is so clear and has so much info, I just love it! I am a stay at home mom of 2, and I just wanted to thank you for all the info your family puts out there for us…and for the WAY you explain it! It puts the whole picture of life and raising families in a fun way, instead of “save and suffer” kind of thing.